FC, LC, SC, ST, MU, MTRJ, E2000, DIN, D4, SMA, ESCON, FDDI, MPO etc. is available. PC, UPC or APC polishing. Single mode and multi-mode available. Simplex, duplex or fan-out available. Length: 1m, 1.5m, 2mor customized. PVC, LSZH or hytrel available. 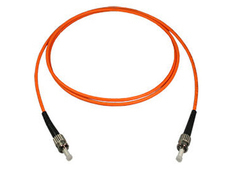 Fully compliant with the standards of Telcordia GR-326-CORE and RoHS. plastic machinery,plastic machine manufacturer,pvc foam sheet plant,rigid pvc pipe plant,pvc profiles section plants-Vrundavan Plastic Engg.,ahmedabad,Gujarat,India. Kong Hui Canvas is the most experienced PE Tarpaulin, PVC Tarpaulin and Cotton Canvas manufacturer with over 40 years' experience in Singapore.